Music is organized sound. We (players and listeners) know this, but we don’t think about it much; it’s a first principle, and therefore banal. Saxophonist John Butcher chooses never to forget that he’s dealing first and foremost with the physical properties of sound, and this sets him apart from just about every horn player on Earth. He plays the saxophone (tenor and soprano), but he also plays the room he’s in. His improvisations always take into account the acoustic space; he listens when he plays, and responds to the echoes and reverberations of the room as he goes. He’s not just focused on the sounds he plans to make before blowing—he hears what sound is actually made, and reacts accordingly with his next breath. The phrase “room sound” crops up a lot in conversations between audio engineers. It’s crucially important to jazz and certain types of rock and country. It’s less important in highly technical and technology-dependent genres; electronic musicians have little or no concern for room sound, because if they’re not making music on a laptop, they’re likely plugging instruments directly into a soundboard. The same is true for a lot of ultra-dry modern metal, which employs direct inputs for an inhuman crunching sound that seems to have almost nothing to do with fingers striking guitar strings. Some producers, notably Erik Rutan, do what they call “re-amplifying” the guitar tracks they record—basically, they go the direct-input route, then they tune up an amp sound they like and play those directly-input guitars through the amp, recording the resulting sound of air being moved in a room, and that’s what’s on the album. It seems like an unnecessary extra step to me, but Rutan’s a professional, and his work on the last few Cannibal Corpse records, to name just one example, proves that he knows what the hell he’s doing. So does John Butcher. Bell Trove Spools, a solo album (buy it from Amazon), documents two performances in two very different acoustic spaces. The first five of its 10 tracks, on which Butcher plays tenor, were recorded at Richmond Hall, a Houston, Texas art gallery; the remainder, played on soprano, were recorded in Brooklyn at Issue Project Room. Richmond Hall is a small space described in the album’s notes as resembling a bowling alley; Issue Project Room is housed in a high-ceilinged marble chamber. The tenor tracks are frequently low and percussive. Butcher pops the valves; lets tones reverberate into feedback-like rising hums; releases fluttering, birdsong-like streams of notes, and even some loud kissing noises…only rarely does he play the saxophone in anything like a typical or expected way. He explores the space on the six-minute “A Place to Start,” tests ideas on two shorter tracks, “Padded Shadows” and “Willow Shiver,” then wanders far afield on the 11-minute “Perfume Screech” and brings things to a close on the two-minute coda “Unspeakable Damage,” which sounds like he’s attempting to twist the horn apart as he blows through it. The soprano tracks, by contrast, are sharp and clear. The first four—called “First Dart,” “Second Dart,” “Third Dart” and “Fourth Dart”—are all part of a sequence that, again, involve the room as much as the horn. Butcher begins with individual notes almost like he’s dropping pebbles into a jar until it gradually fills up, the echoes from the vaulted chamber becoming as important as the sounds he’s creating with lips, tongue and lungs. “Second Dart” is a series of high-pitched sounds like the air being let out of a balloon; “Third Dart” is a passage of conventional saxophone playing, albeit distorted and harsh; and “Fourth Dart” continues in that vein, seeming to add circular breathing to the menu until the notes flow unceasingly forth. The album ends with “Egg,” three minutes of squeals, pops and kissing sounds that sound more like a remix of solo saxophone than just a man with a horn in an echo-friendly space. It’s really astonishing music, somehow managing to offer emotional resonance and aesthetic satisfaction, and never feeling like a dry exercise in technique for technique’s sake. At Oto documents a third space—the small London jazz club Cafe Oto. Pianist Matthew Shipp played a residency there in February 2010; one of the performances—featuring Shipp on Farfisa organ, Jason Pierce of Spiritualized and John Coxon of Spring Heel Jack on electric guitars, and Steve Noble on drums—was recently released on Thirsty Ear as Black Music Disaster, and this disc of duos with Butcher comes from the third and final night of the engagement. The performance is divided into thirds. The first 17 minutes are Butcher’s; he solos on tenor, then on soprano. His playing owes much more to free jazz than anything heard on Bell Trove Spools, though there’s a moment during “Curling/Charred” (the tenor solo) where he sounds like he’s playing a didgeridoo, and the first half of the soprano segment, called “Mud/Hiss,” is all hisses and squeals and slowly escaping air; it’s not until the final 90 seconds that he begins playing the horn in the traditional way, and even then he’s chewing on individual notes, repeating short passages over and over with very slight variations until a final eruption. Shipp enters then, playing a 15-minute piano solo entitled “Fundamental Field.” He doesn’t adapt Butcher’s obsessive, worrying methodology—he explores the keyboard as he’s always done, offering powerful low end rumbles paired with minor-key melodies; small, cell-like melodic figures; and an overall sense of liturgical power. There’s great delicacy here, but thunderous power at times, too. The third and final segment, “Generative Grammar,” is what everything else has been building up to: a 29-minute duo between Shipp and Butcher. The pianist hasn’t worked with a saxophonist on a regular basis since leaving David S. Ware‘s quartet; there have been a few interactions with fellow Downtowners like Rob Brown, Sabir Mateen and Daniel Carter, but they’ve been rare. His interaction with Butcher is unique among these. The saxophonist, who’s playing tenor, operates in a manner that’s perhaps best described as “free-jazz-adjacent,” spinning out melody lines with a thick, leather-tongued force as Shipp dances across the keys in a way that recalls his 1990s work more than the records he’s been making with his own trio—or as a solo artist—of late. Butcher employs many of the techniques heard during his solo segments, and on Bell Trove Spools, though he’s clearly playing in a somewhat more conventional manner, mindful of the different audience Shipp’s presence has surely invited (while there’s a fair amount of crossover between the two genres’ crowds, free jazz fans tend to be a little more inclined than devotees of pure improv to welcome displays of gutbucket fervor). Between these two CDs, it’s possible to get a very full portrait of an extremely interesting saxophonist. 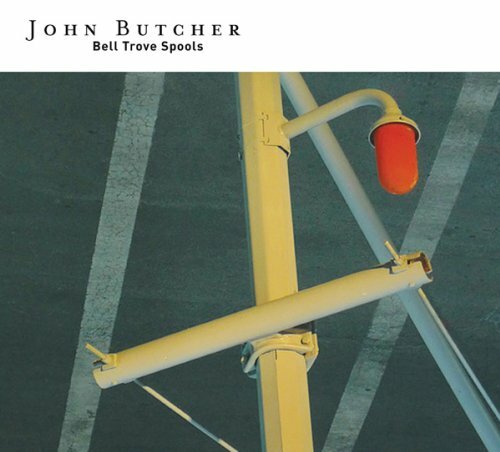 People who’ve never paid attention to John Butcher before (like me) are likely to enjoy Bell Trove Spools and At Oto just as much as those who’ve spent years following him down the winding trails his curiosity and technical skill have led him to carve.